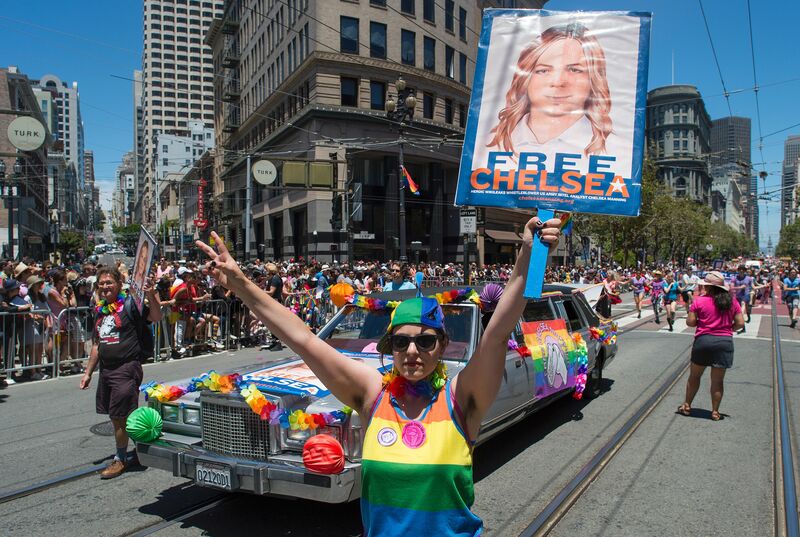 On Friday, Army whistleblower Chelsea Manning launched a hunger strike from prison, protesting the lack of care she's received for her gender dysphoria and demanding that she be treated with "dignity and respect as a human." In a statement, Manning said that starting on Friday, she will refuse to eat or drink anything other than water, and won't voluntarily cut or shorten her hair. Manning, a former intelligence analyst for the Army who served in Iraq, was convicted in 2013 via court marshall of handing over more than 700,000 documents to WikiLeaks. Not long after her conviction, she came out as transgender. The military has permitted her to undergo hormone therapy in prison, but Manning has not been allowed to grow her hair long, a crucial part of gender dysphoria treatment. She attempted suicide in July and faces the threat of solitary confinement and additional prison time as a result. "I need help. I needed help earlier this year. I was driven to suicide by the lack of care for my gender dysphoria that I have been desperate for. I didn’t get any. I still haven’t gotten any," Manning's statement reads. "Today, I have decided that I am no longer going to be bullied by this prison—or by anyone within the U.S. government. I have asked for nothing but the dignity and respect—that I once actually believed would be provided for—afforded to any living human being." Although modifying hair length is a standard component of gender dysphoria treatment, Manning hasn't been allowed to do so in prison. The Department of Justice argued that this would "pose a serious security risk," the idea being that long hair would put Manning at risk of harassment at the hands of other prisoners and, simultaneously, undermine the "core prison-security and military values" at the prison. Manning's lawyer, however, told Cosmopolitan that denying Manning the right to grow out her hair is itself "a huge risk to her physical and emotional safety." In her statement Friday, Manning said that she's submitted "a 'do not resuscitate' letter that is effective immediately," and that aside from refusing food and forced haircuts, she will comply with all other prison rules. Describing her hunger strike as "a peaceful act," Manning pledged to "endure this pain before me," even if it leads to her "permanent incapacitation or death." "I need help," she wrote at the end of the statement. "Please, give me help."